Clarinet instrument technician Ray Franks checks the pads are closing properly in the workshop at Hanson Music in Marsden near Huddersfield. THE mellow clarinet, conduit for some of Mozart’s most sublime thoughts, seems an unlikely symbol of political bungling. But that’s how Alastair Hanson remembers one piece of Government policy whose unintended consequences still affect British instrument makers. Alastair Hanson plays high on Marsden Moor near Huddersfield. Clarinets are a topic on which he’s qualified to pronounce. In the hulking shadow of a redundant textile mill near Huddersfield he designs, makes and exports them. His firm is the largest of only three in this country to survive corrosive overseas competition. Where others placed their faith in tradition and failed, he put his in top-end software and machines. Last month, one supermarket chain in this country was reportedly selling a Chinese import and case for £19.99. One of his hand-made, top-of-the range instruments costs nearly 200 times that. Yet Hanson clarinets are in the hands of thousands across the world. And Far East manufacturers turn to his company in the village of Marsden for technical expertise. In a curious reversal, this is the man who taught the Chinese to make better clarinets – then beat them at their own game. Yet for all his flair with the sweetly-spoken reed instrument, he grew up in the earthier world of brass, joining his local band at the age of four. Home was Low Moor near Bradford and his choice of college course in Leeds combined his love for art and craft: music and instrument technology. Soon he had set up business in a shed in his parents’ back garden, repairing and selling brass instruments. The die was set for a career which was to see him develop from musician into high-tech entrepreneur. Along the way he worked with instrument manufacturers around the world and developed his own company into a global trader. But for a moment, let’s fast-forward to 2008. By now Alastair is married to a professional viola player, Jenny, and making clarinets in a workshop at their converted farmhouse on the hills above Marsden. Things are looking bright. The Labour government, as part of its “wider opportunities” programme has announced that every primary school pupil should have the chance to learn a musical instrument. Lessons are to be taught in whole classes as part of the curriculum and the aim is “to develop a world-class workforce in music education and to improve the support structures for young people’s music making”. Music to the ears of any instrument maker. Or so it seemed. After a period, however, common sense prevailed and by 2010 the policy had changed from buying the cheapest to obtaining best value. For Hanson Clarinets, the problem now became one of keeping pace with unprecedented demand. To prevent overstretch, the firm decided to supply only two authorities, Kirklees and Sunderland. The strategy to control supply and uphold quality proved wise. As the instrument cupboards of our schools filled, the Chinese – encouraged by early success in the UK market – ramped up production. “I advised them not to invest so heavily but now they have manufacturing plants and large stock, but no customers. So they are selling them through cheap supermarkets at less than cost. Alastair is speaking in the design workshop of his small, modern unit which employs five and stands on the site of the boiler house of the disused mill. In one section, a computer-assisted milling machine bores a hole in a length of sustainable African blackwood. It’s the cylindrical section, married to the mouthpiece reed, that gives the clarinet its characteristic timbre. In another room, a craftsman applies the intricate system of polished metal rods and keypads that enable it to speak. Besides clarinets, the firm makes Saxophones and parts for brass instruments and guitars. It also sells and repairs a variety of other instruments. Across the road, the ghost of the Colne Valley Spinning Company stands witness to the devastation wrought on the Colne Valley’s textile industry in the 1960s by cheap imports. While it’s tempting to see the parallels, the differences are more significant. Alastair has worked with foreign competition and makes use of the experience. Innovation is embraced and an analytical mind, coupled with his love for music, are clearly potent in driving the business. Early in the 1990s, he had moved from the workshop at his parents’ home to set up a retail and repair enterprise with teaching studios in Cleckheaton. He eventually sold out to a firm called Norman’s – “a magnificent retail music operation and the country’s largest provider of instrumental tuition,” he says. “When I went to work for them, they were among the first to start looking at buying instruments from China. So in 1995 they sent me there so I could learn how they made the instruments. I’d gone to be a consultant because while the prices of their instruments, whether trumpets, cornets or clarinets, were fantastic, the quality was generally poor. “The problems turned out to be the quality of machines and raw materials. For example they would try to make a clarinet with a drill that didn’t run true. 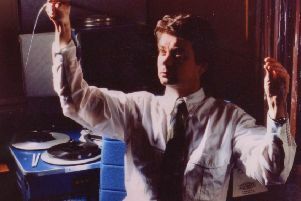 By 1997 Alastair had left Norman’s and was working for a Japanese instrument maker, Korg. His task was to identify why it could not sell its Taiwanese-made brass and woodwind instruments into the UK. “It turned out the design was not quite right for the British market, so my job was to improve the design, marketing and sales. Lacking nothing in bravado, he went back to Norman’s, which was importing instruments from Germany, Taiwan and China, and proposed to make them a better product in this country – for the same price. “They were up for it,” he smiles. His plan was to show his new clarinets at the 1998 Frankfurt trade show. There was one snag: he’d never made a clarinet. “I knew the theory and the design but I had never put one together myself. I was living in Newsome, Huddersfield, and on the eve of the show I was still finishing them on my dining room table. Two of that batch found their way into the hands of visiting members of the US Air Force band. Then it was home for a visit to the bank – and a £10,000 loan. There was a crucial limit however to this global division of labour. Alastair realised he could not share all his ideas with these specialists. By now, orders from Norman’s were rolling in and the hybrid nature of the business – parts made in China applied to bodies made in Yorkshire – was established. Even his wedding reception and honeymoon were sacrificed to the burden of orders. By chance, a wedding guest was involved with saxophones and before long that instrument was introduced into the Hanson range. A key figure in their production is Roy Dixon, father of former Arsenal footballer Lee Dixon. He arrived at Marsden three years ago wishing to learn to play the instrument and he went on to develop a model that echoes the sound of a 1950s American sax. While it is designed and assembled in Marsden, Alastair uses his global network to have some parts made in Germany and Taiwan. Mark Smith was operating a pneumatic drill and shifting stones until he was recruited to work a lathe at Hanson’s. He’s now sales manager. Alastair says: “Part of business is being prepared to spot talent in unlikely places but the most important thing is to identify the bits that can make money and the ones that can’t. “Boosey and Hawkes, the biggest British instrument maker, closed because they succumbed to competition from overseas. We succeeded by cooperating. What the Chinese and Indians have got is cheaper labour and a driven, educated young workforce hungry to succeed in manufacturing. We’ve not got that in this country. “But what this country has is a reputation for quality based on more than 100 years and a reputation for bright ideas. So why try to beat the Chinese on cheap labour? Why not design something better than they have – and then co-operate in making it? “Some of the best things in my life came about because of hard times. My dad had a bad accident when I was small and couldn’t work but it gave me a work ethic. One such is the growing market among retired people who are wishing to start or return to the clarinet. Another is America. “And a factory in China now wants to buy components made in Marsden,” he grins. All of which means there is no little time for him to relax by playing an instrument.